Chauffeured transportation has become increasingly popular. Although this type of service is popular for social events, chauffeured transportation remains crucial for business clients. To understand the value of using a reputable limousine company, consider the five business events deemed most important for offering chauffeured transportation. Interactions with Clients – Whether you are getting together with a client for a business meeting or going to a restaurant for dinner, chauffeured transportation helps. When you have a client picked up and then ride together to the destination, there is a designated space and time to discuss things that might be difficult to talk about in a large group. Being a limo together creates the opportunity for improved communication. Talent Recruitment – Heading to a location to recruit talent also warrants a chauffeured limo driver. With this, you have the opportunity to show potential employees the level of success that they can achieve. In addition, chauffeured transportation puts you in a position of authority in the eyes of the potential recruit. Employee Rewards – If certain employees have accomplished something great, you can reward them with a wonderful dinner and chauffeured limo. As a result, these same employees will continue to strive toward success. By having their efforts noticed and work rewarded, employees will push even harder on behalf of the company. Corporate Events – When hosting a corporate event, especially for top executives, you want to impress. The limousine company will impress the guests while they are driven to the appointed destination. For people from out of town, this is tremendously helpful. 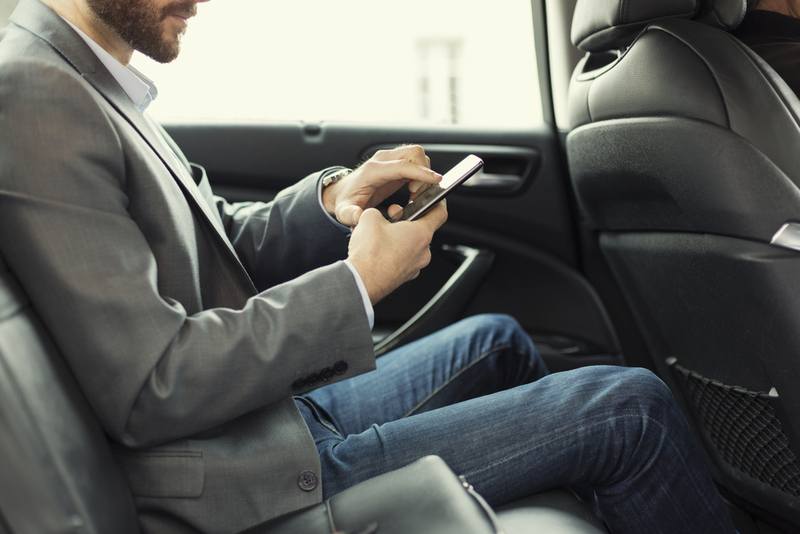 Executive Business Travel – For convenience more than anything, chauffeured transportation while traveling is critical. With this, your chauffeur will pick you up at the airport and deliver you to the hotel. Because of this, there is no stress pertaining to luggage or waiting for other transportation. In addition, by having chauffeured transportation, you have confidence that you will arrive at critical meetings and business dinners on time and in a safe manner. Whether used for personal or business needs, chauffeured transportation is cost-efficient, safe, comfortable, and stress-free. However, specific to business, hiring a limousine company is important to image and perception. By presenting yourself in a particular manner, there is a better chance of impressing important clients and closing big deals. Stay tuned for more travel tips in future blog posts!